Like i said, i LOVE to create. It feels like some sort of magical meditation. I found this brown, old chair at my dads farm and the idea clicked straight away in my head. 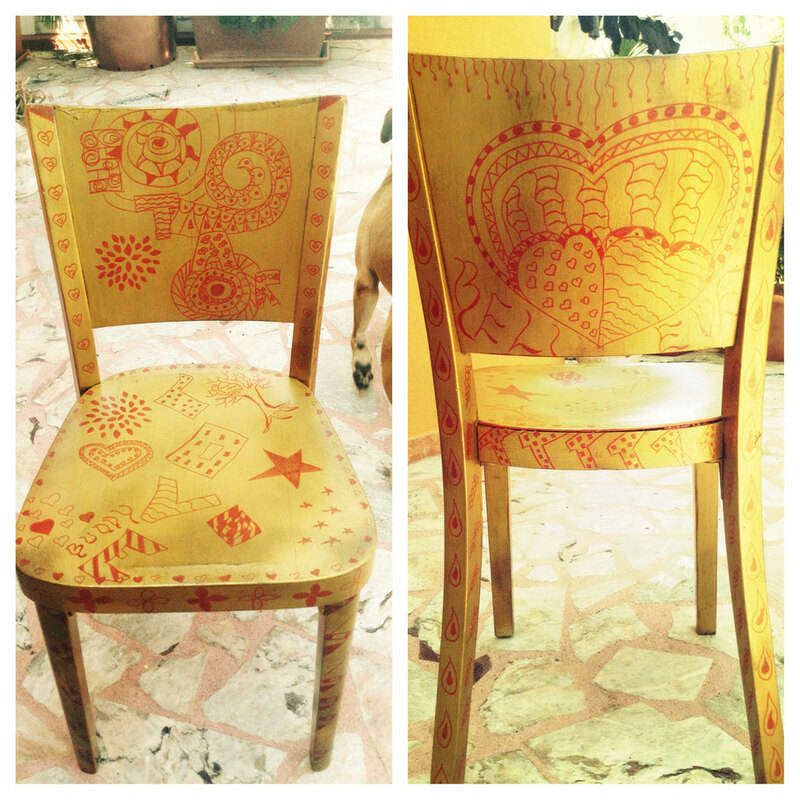 Why not paint it and draw something on it. So i used gold spray paint to spray it and after i used non alcoholic marker to draw on it. When everything was dry i painted it with clear water color, so the red marker wouldn't rub off when somebody sits on it.